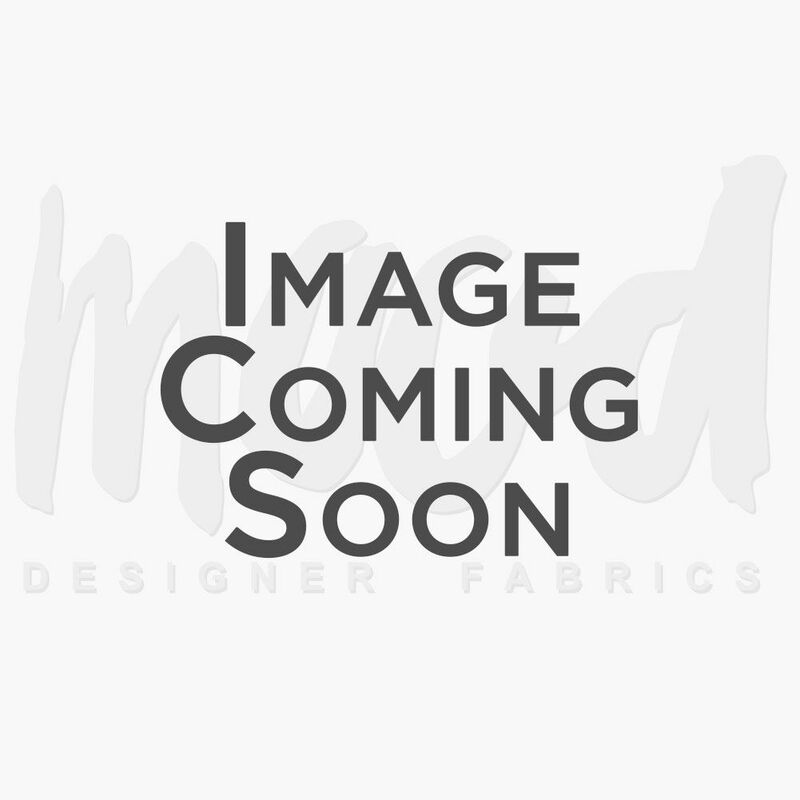 Battenburg Lace is the perfect trim for any sewing project, from curtains to coats. 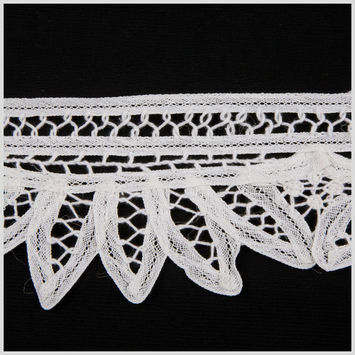 An American made lace that was named after the Battenburg family, it is a loose lace with an intricate design. 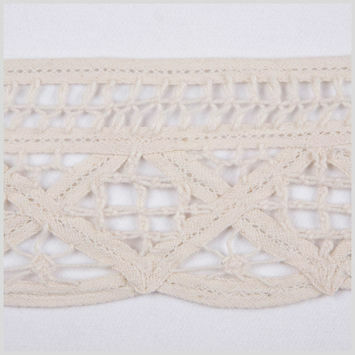 Battenburg lace is sewn with various needles, which follow a pattern laid out in mechanical tape. Battenburg can be made from a range of fibers, both natural and synthetic. This makes Battenburg an adaptable trim, depending on the fiber type chosen. Whether you're making a simple summer dress or some decorative kitchen towels, Battenburg lace trim will add a refined look.